Step 1: Pay Border Crossing services fee by clicking on the Pay Now button. After we establish your GOES profile, we will give you a link to pay the $100 government fee for background and security checks. Step 2: Click on the Print application button and fill out one application per applicant. Step 3: Send the form via e-mail to: info@border-crossing.com or fax: (305) 675-0780. Please check your email (including your spam folder) for further instructions from us. Once we receive your Global Entry card application and payment, we will assign your case to one of our agents. They will carefully check your application for consistence with CBP requirements. They will then create a profile for you in the government system and enter your data. Once your profile is complete, we will email you your ID and password so you can access your profile and finalize your application by paying the CBP fee with your credit card. When you receive a conditional approval notification, you will be able to schedule your interview at one of the Global Entry enrollment centers. Please note that we cannot guarantee your Global Entry card approval. You may be denied in case you have a criminal record, an immigration violation or you provided false information on your application form. If your travel date is close we recommend that you choose the Express service which means that your application will be processed within 24 hours within our company and submitted to CBP for review. With our Express service, The Global Entry card will cost you $259.95. Initially, you will pay a service fee of $159.95 to get the process started. You will be able to pay the $100 government fee after we enter your data into the GOES system. You will see two separate fees on your bank statement. Please note that the expedited service does not guarantee faster processing within the government system. 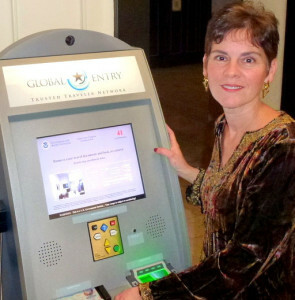 With our Regular service, The Global Entry card will cost you $219.95. Initially, you will pay a service fee of $119.95 for to get the process started. You will be able to pay the $100 government fee after we enter your data into the GOES system. You will see two separate fees on your bank statement.